The estimate is that our country records 1.1M new cancer cases annually and accounts for 7.8% of the international cancer burden. What is probably even more worrisome is the fact that now a larger number of younger patients are falling victim to cancer. The latest concern of the medical fraternity is about how best to preserve the fertility of young cancer patients. The need of the hour is to create more awareness about methods such as egg freezing as these could be a ray of hope for young women who are about to undergo cancer treatment. Egg freezing is proving to be a boon for cancer patients who are in the reproductive age-group. Treatments such as radiation, chemotherapy and surgery tend to destroy a woman’s eggs which results in infertility. Based on the age of the woman, the risk, the type of cancer & the treatment plan, we may recommend egg freezing for women who are diagnosed with certain kinds of cancer. Oocyte cryopreservation/egg freezing is a proven & established method used for fertility preservation in women. In egg freezing, the woman’s mature eggs are first removed & frozen. This particular process is called egg banking. When she feels that she is ready to have a child, the woman’s eggs can be thawed & fertilized and then transferred into the uterus. There was a time when doctors who were treating cancer patients used to only focus on ensuring that their patients survived this deadly disease. Neither the doctors nor the patients and their families every really thought about the impact the cancer treatment would have on the fertility of the women. But the landscape has now changed and with new medical technology and modalities, there is also a change in the survival expectations. This has brought to the fore the topic of the risk of infertility in women who are slated to undergo cancer treatment. The objective is that these women should be provided with all the information they need to make more informed decisions about their health and wellbeing. Young women who have not yet started families may want to have them in the future. Going through cancer treatment without considering egg freezing may be a dead end for them as far as their fertility is concerned. 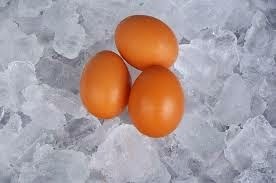 In the egg freezing method, multiple eggs are frozen. If the woman chooses to have a child after she has gone through cancer and beaten the disease, her uterus can be prepared, the eggs will be thawed & will be fertilized with her partner’s sperm via the ICSI- intracytoplasmic sperm injection - process. Since there will be more than one embryo, 2-3 can be transferred into the woman’s uterus and the rest can be frozen. In case she wishes to come back for another child that too would now be possible. Over the years, though there have been a number of advances in cancer treatment in India, preservation of fertility in these patients is still in its nascent stages. Want more information about egg freezing? Please send me your medical details by filling in the form at www.drmalpani.com/free-second-opinion so that I can guide you in a better way!